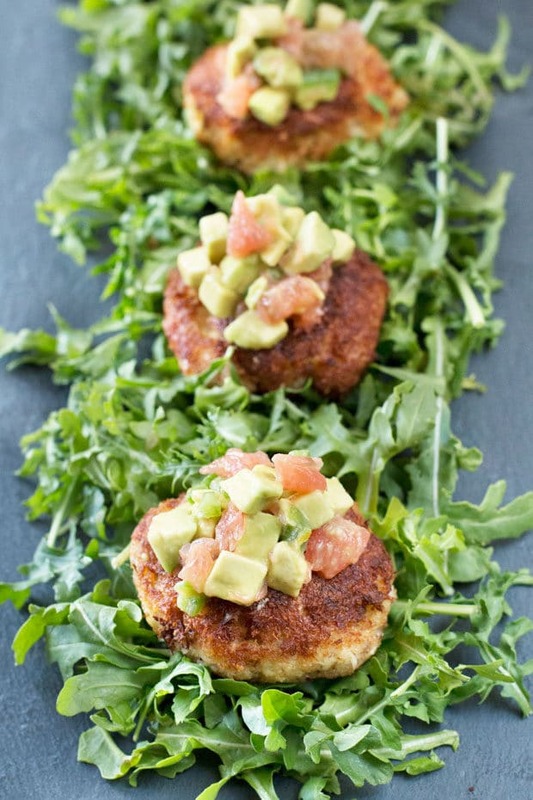 Crispy Crab Cakes with Avocado Grapefruit Salsa make a wonderful summertime appetizer or even light lunch. 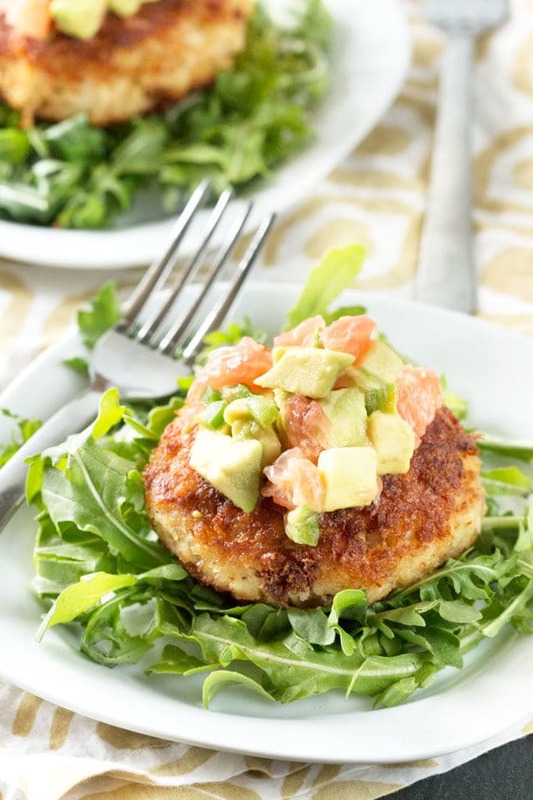 The simple crab cake is a light accompaniment for the rich and bright avocado grapefruit salsa. 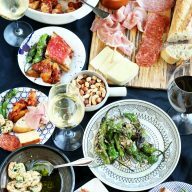 You’ll really wow whomever you serve this to! I’ve always wished I could have spent more time on the East Coast growing up… I remember going out to Cape Cod and Florida throughout my younger years to visit grandparents and my vast extended family. I would spend hours each day playing on the beach and in the ocean, returning with sandy feet to a big family dinner every night. Of course, as a child who was a ridiculously picky eater, I never truly appreciated all the seafood that was right freaking there. It’s really such a shame; I could have eaten my weight in lobster if I wanted to (yes, I may have been a slightly spoiled only child when I was little…). Now I realize what an opportunity my tiny little self missed out on. All that fresh seafood was right there… At that age though, I generally refused to eat anything that wasn’t mac and cheese or hamburgers with only ketchup slathered on them. Thank God I developed a palate and became obsessed with food in my young adult years. I may have missed out on a ton of fresh seafood, but I have been making up for it ever since. I will seek the fresh stuff out every opportunity I get. I may be in a landlocked state right now, but I can track it down if I’m craving it. Lately all I’ve been craving is a nice and crispy crab cake, filled with luscious lump crabmeat… So I treated myself to some fresh crab at a local seafood shop here and made these bad boys to curb my appetite. Personally I love my crab crakes fresh and simple. I like to really highlight the flavor and texture of the crab, instead of loading it up with too many veggies and other wacky ingredients. These crab cakes are allllll about the crab. 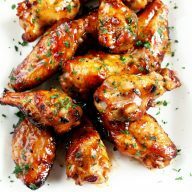 They are irresistibly crisp on the outside, silky smooth and fresh on the inside. To compliment all that crab, I whipped up an avocado grapefruit salsa that is both bright and a little hearty with those chunks of rich avocado. It’s just the summery accompaniment these crab cakes need. 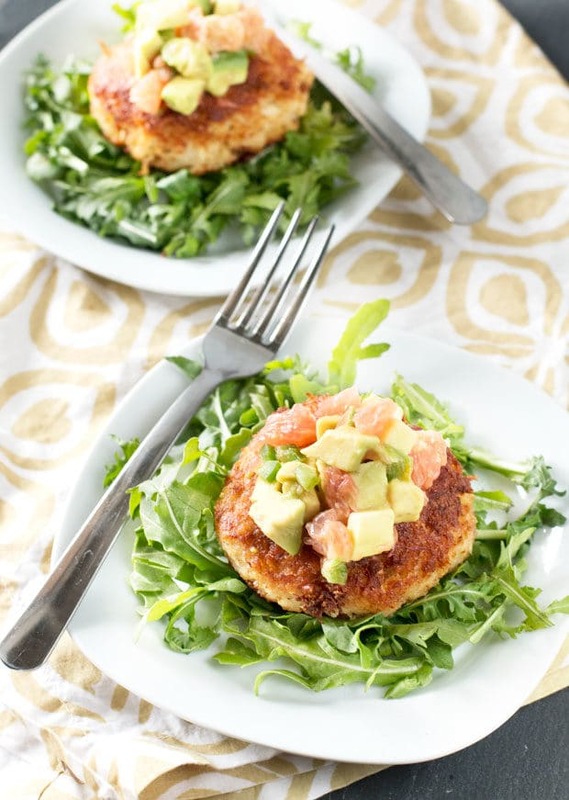 Pin this Crispy Crab Cakes with Avocado Grapefruit Salsa recipe for later! Wow. These crab cakes look like heaven! I went over the ingredient list and although it seems like i’m going to need quite a few items that are not in my cupboard, i’m still going to try this. Thanks for sharing. 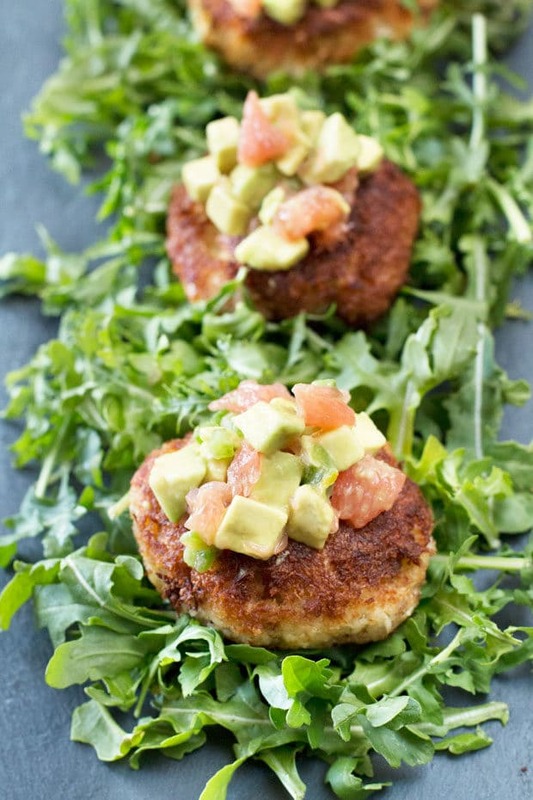 These crab cakes look like perfection: crispy on the outside and full of crab on the inside! 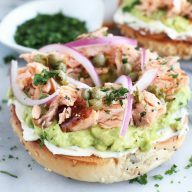 I usually top mine with mango salsa, but thus avocado grapefruit salsa sounds like a game changer! There is nothing better than MD crab! Thank you Bethany! That’s the one thing I miss being in a landlocked state – truly fresh seafood! This looks superb! I love crab so much and a salsa from grapefruit and avocado is so creative!